I've been on the hunt for some new pens for my planner. I've seen recommendations from lots of people but since I haven't seen the pens and how they write in person, I have yet to buy anything. Enter my employee Valerie. She had these pens from Michael's the other day at work and was ranting and raving about how great they were. I tried them, loved them, and was off to find them. They are the Recollections brand from Michael's - the fine line pen set - and they were only $2.50 ($4.99 for 20 pens and I had a 50% off coupon)! Total steal. I think we're looking to retire our old stroller and get an umbrella stroller. Mason has gotten too big for our regular stroller and while we still use it (not very often but whenever we think we will need a stroller), I think it's time to get a new one. We plan to take Mason to Disneyland for his birthday and would like a stroller so he can nap so I still have a few months, but I'd love to hear your recommendations and why you do (or don't!) like a particular brand of stroller. Thank you in advance! 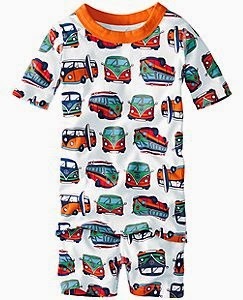 Nanny was kind enough to buy Mason some new jammies this past week - some of my favorite jammies! 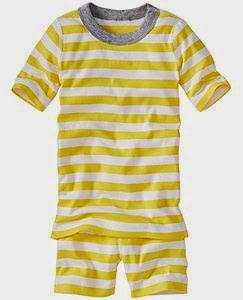 I LOVE the Hanna Andersson pajamas though I don't love their price tag. Nanny spoiled Mason with a bunch of new jammies for Christmas and she didn't disappoint when it came to summer pajamas either! I can't wait to see Mason in them. Well that's all I've got for this week! We're up to some fun stuff this weekend and I can't wait to share next week! Avid reader here! I read that book not to long ago and it is one of my favorites. I've read many of her books and she is a good author. This book will keep you on your toes for sure. So curl up with a blanket, a drink and enjoy. Be curious what you think when your finished. The husbands secret! START IT. You'll be so hooked you'll find time! Seriously I just finished it for book club and even though it was a re read I forgot the secret and was riveted! And we've had our fair share of strollers. My fav Disneyland stroller is the stokke scoot. It just reclines so easy for naps and the fold is easy! Ooooh, I'm totally intrigued by that book! Also, those pjs? Too cute! We gotta find some short sets (at least that's what I'm told) for the hot summer nights here. I wish finding pjs for myself was as easy as finding them for Mia, ha ha! Those pjs are too cute! I am such a total pen geek. I love the Sharpie pens because they don't bleed on the other side of the paper and they don't smear. These look great too! 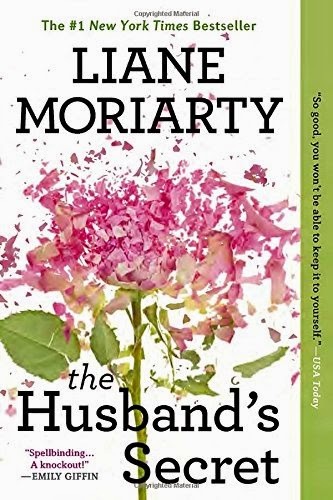 Ive heard great things about Liane Moriarty, but haven't yet rwad one of her books. Hanna jams are the BEST! Everything is 20% right now on their site! What a steal on those pens! That book sounds sooooo good, too! We have a Chicco umbrella stroller, and it's been great! Ooo, that book sounds good! I need to add that to my list. And what a good deal on those pens! I love the ones I have currently (Papermate flair colors) but once I use those up, I may have to check these out. As for a stroller, I highly recommend the Chicco Liteway (not Liteway Plus). It reclines all the way for naps, has a zip off hood so you can adjust it wherever the sun is, folds up really nice and is pretty light. We took it to San Diego with us and it was perfect! I read her book "Big little lies" recently and it was amazing. I should probably do the husbands secret next!! Our umbrella stroller is from Babies R Us, we got it on a special spend $50 get a free stroller. We brought it to Ireland with us and it was great!! But if your using one at DL make sure you get one with cup holders!!! That book is on my to read list! Ive been sucking lately though. With nap time gone it has really diminished my time to get anything personal done, and the blog usually takes first place over reading. No umbrella stroller here, but I dream of the days we can do Disney without the monster stroller. Or, gasp, without one at all. I mean when will that happen? Some far off number that would make me sad to think about anyways I'd bet. sigh. It is like win lose. Now I miss Aria. Oooh, I'm always on the hunt for a good book, and The Husband's Secret sounds exactly like something I'd pick up! Just added that to my never ending list. Though I don't have a planner I'm totally obsessed with pens. I have no idea why. I'm weird. And those pens looks awesome! Give me all the colors! If you find a good umbrella stroller let me know! We bought a cheap one from Target forever ago, and I HATED it (I suppose it's true - you get what you pay for). Ok, maybe I'm in the dark here, but what makes the Hana Andersson jams better/different than any other (aside from the fact that they're ADORABLE!)? I love a good pen, and those are a great deal! Have you ever tried Le Pens or Flair pens? I like both brands but they're more expensive. I've seen several people mention that book, it sounds really good...and I'm not a reader either. I may have to get that one! And those jammies are so adorable! Hope yall are enjoying your weekend! That book sounds really good! Adding it to my library read list. And love a good pen! Especially if they are fun colors and a fine tip. I'll have to check those out. As for umbrella stroller, we bought a Summer Infant 3D Lite stroller and like it a lot! It has a small basket underneath which fits jackets and my bag, and has a sun shade. It also folds up one-handed (my big must have) and is really lightweight. Good luck! Thanks for linking up again with us! The Husband’s Secret was a good read!!! I started reading little big lies (also by Liane Moriarty) months and months ago and never made it past the first couple chapters. Not because I didn’t like it, but because life took off in a hurry and I never have time to read anymore. Sigh! Those pens look fabulous. Confession; I am somewhat of a pen hoarder. And little kid pajamas might just be my favorite thing ever. My Mason needs those, too! Hope you had a great weekend, friend. [A Year of Dates] April.